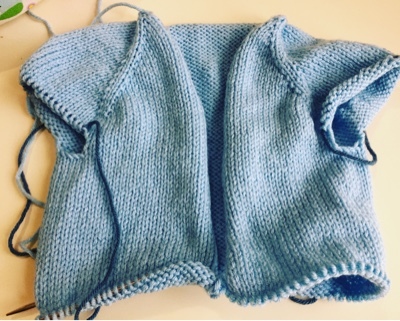 Proof that I have started work on the neighbor's baby sweater. Still just on the body right now, but the back and forth clickety clack of stockinette is calming and relaxing. Hoping to finish this up by the end of the weekend and do a little work on my Mojito socks before starting another baby sweater.